Whole-Body Cryotherapy in Athletes: From Therapy to Stimulation. Influence of whole body cryotherapy on depressive symptoms – preliminary report. 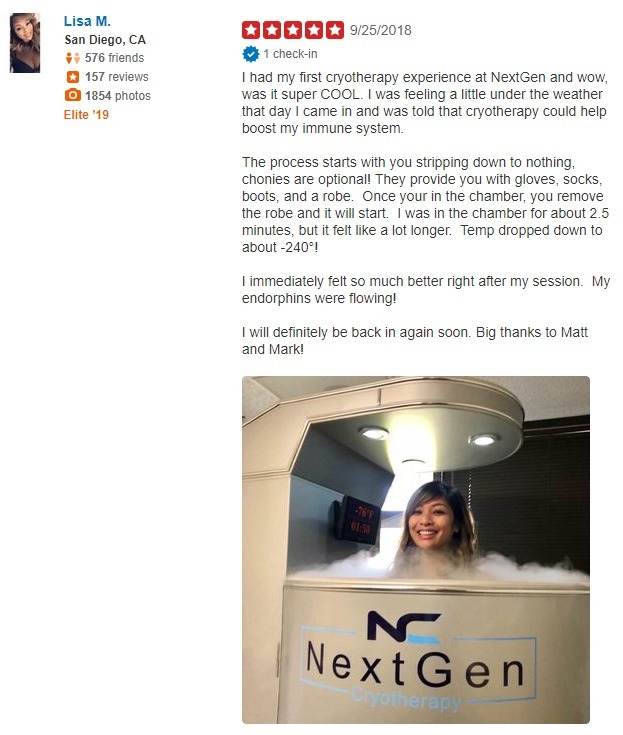 Whole-body cryotherapy as adjunct treatment of depressive and anxiety disorders. Does whole body cryotherapy sessions of have influence on white blood cell count, level of IL6 and total oxidative and antioxidative status in healthy men? Cryotherapy decreases histamine levels in the blood of patients with rheumatoid arthritis.